Its April 2014, well past April Fools Day, so don't be a fool when it comes to your Nissan Skyline. 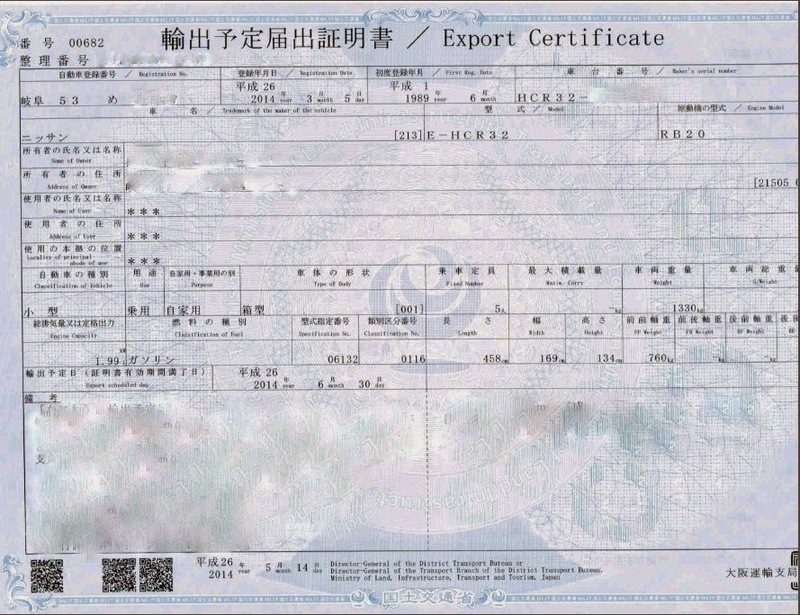 If you are looking to either import, or buy a Nissan Skyline there are a few things you should know about the title and registration process. In the United States vehicles over twenty five years old are Department of Transportation (DOT) exempt from meeting Federal Motor Vehicle Safety Standards(FMVSS). At over twenty one years old cars are Environmental Protection Agency(EPA)exempt in original configuration. 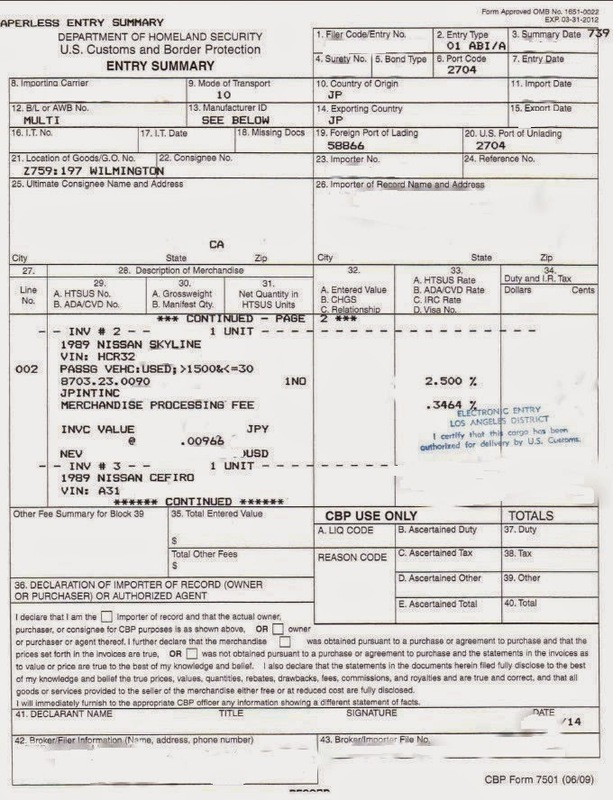 If the car is newer than 25 years old, it still might be possible to import it under the Show or Display exemption, but check out that page for more information.To meet California direct import requirements, the car must be older than 1975. 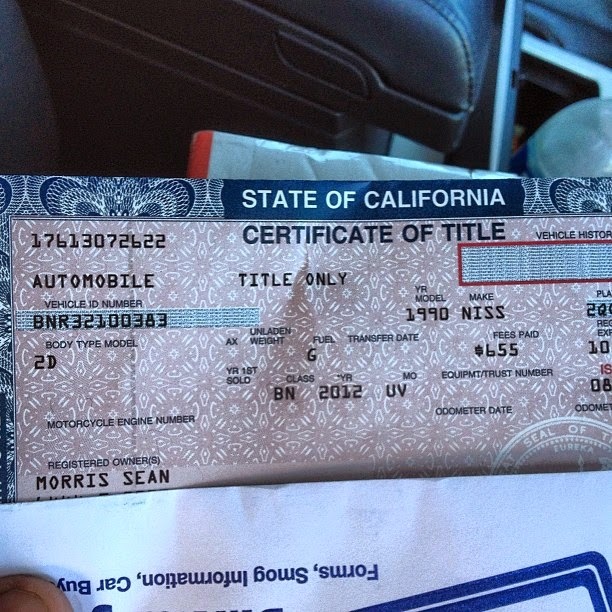 To have a newer car meet California DMV requirements, it is very expensive, and sometimes near impossible to comply. The first things are always to look for documentation on the vehicle. 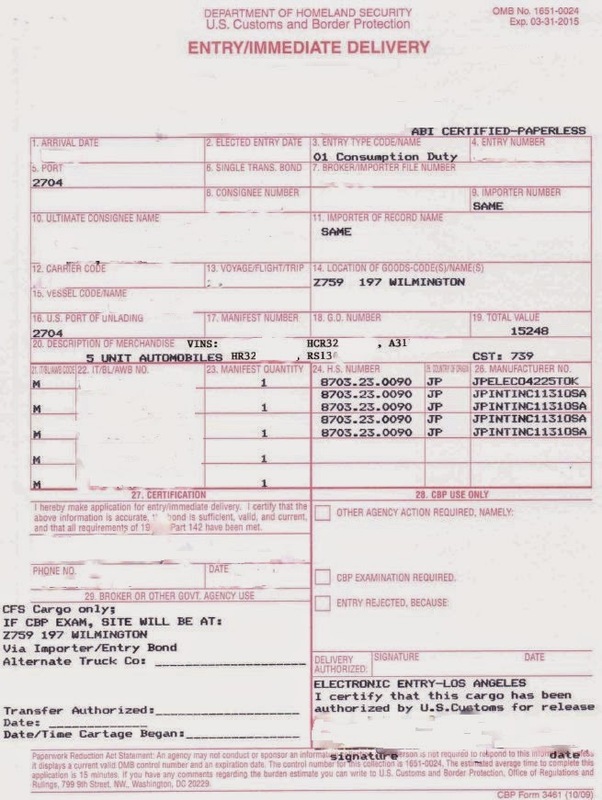 Without documentation, you don't want the car. 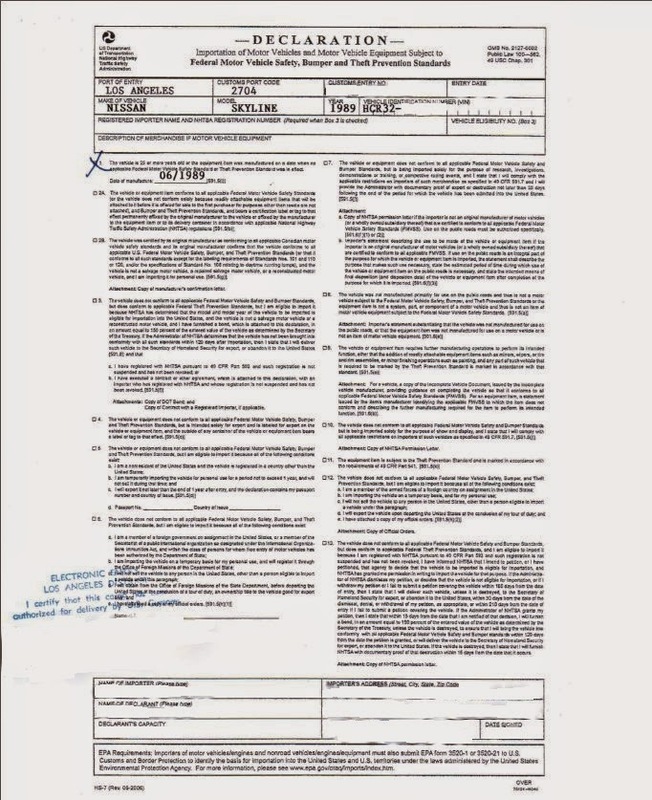 It is the sellers responsibility to have documents. If they don't have them, the best thing is to pass, and find the next seller that has all the required documents. If you buy a car without proper documentation, you may not be able to title and register it in your state. If someone is selling you a car, you also want to see if they are legally allowed to sell cars. There are importers out there, selling cars, that aren't legal car dealers. Florida has the most shady importers of all. If a car has a Florida title, you should about run away from it. It was probably done wrong. Probably illegally imported, and subject to seizure. No one wants to lose their car, so know what to look for. 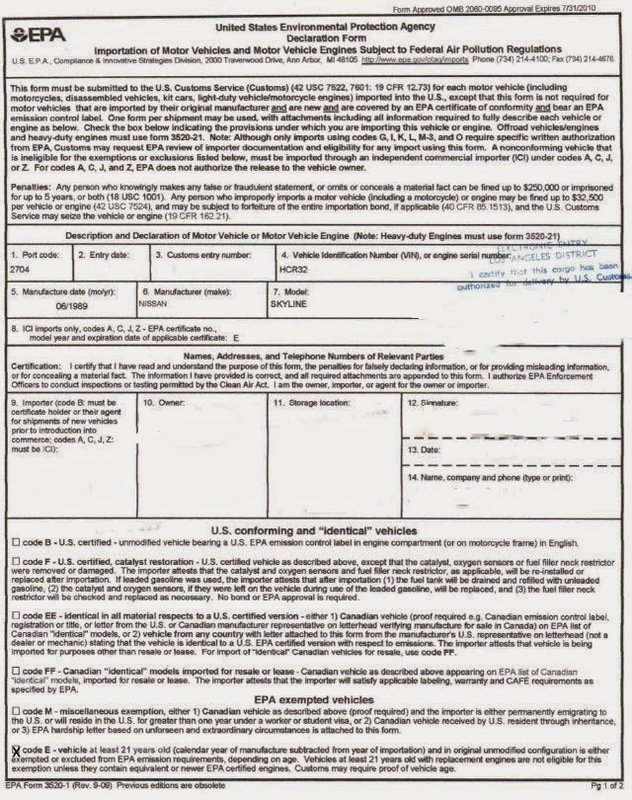 The best thing to do, if you are trying to register a foreign titled/25 year old car is to use a Department of Motor Vehicles service similar to AAA. A service wants to help you get your car registered and titled. The state run DMV's, often do not know how to handle US Customs, and Foreign titling documents. If you are at the DMV take notes on exactly what they want. Get their name. Get their supervisors name. There are times they ask for documents that customs has, or takes. Occasionally they ask for things that can't be produced. Normally with the specific requirements, and the regulations, the error of what they are asking for can be corrected. A 25 year old Japanese car doesn't have a 17 digit VIN/Chassis number. This short VIN, can give some DMV's troubles as they don't know how to handle it. Vehicles over 25 years old are not required to meet FMVSS standards, so they aren't required to have a 17 digit VIN. Some states may have some specific title requirements, but please read this newsletter from the NHTSA before they "assign" a VIN to your vehicle. NHTSA Newsletter - Can my vehicle have two VIN numbers. Even Ebay has problems with vehicles 1981 or newer and short VIN/Chassis numbers. The link for the "can my car have 2 VIN's doesn't work.